Warner Bros. are finally capitalising on their DC Comics properties, and among those recently announced for release between 2016 and 2020 is The Flash (despite the fact that he currently has his own TV series). Ezra Miller will play the Scarlet Speedster in a number of movies during this period, including Justice League and his own solo outing. For that reason, we’re all going to be getting very familiar with the iconic character very soon, and you can actually learn a lot more about ALL of these upcoming releases by clicking here. As for The Flash, we’ll talk you through everything you need to know about the character right here, including the stories his movie might adapt, his villains, supporting cast and powers, along with when and where we’ll first see him show up in the DC Cinematic Universe which kicked off with 2013’s Man of Steel. Don’t forget to also check out our guides on Aquaman, Batman v Superman: Dawn of Justice and Shazam! It may seem strange to begin at what potentially could be the end, but bear with us! Flashpoint rebooted the DC Comics Universe back in 2011, and while Kevin Feige has indicated that Marvel might go the James Bond route when it comes to recasting, adapting this story could be a smart alternative for Warner Bros. 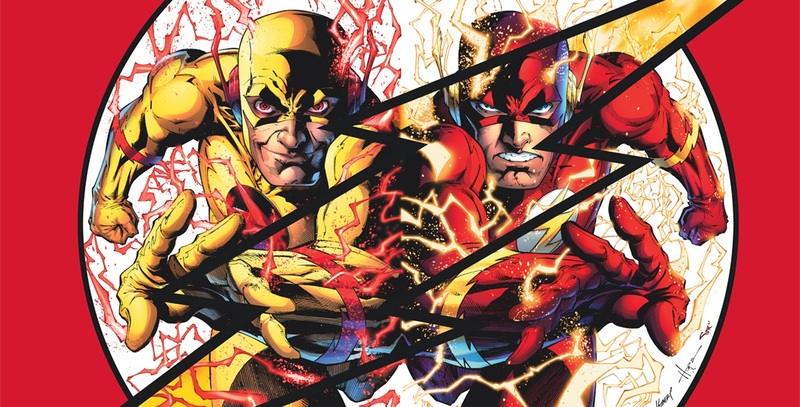 When one of The Flash’s enemies travels through time and turns the Earth into a nightmarish version of itself, Barry Allen embarks on an adventure which really shakes thing up, wiping away years worth of continuity and reintroducing familiar heroes with younger appearances and new origin stories and costumes. The successful animated movies produced by DC Comics tried this and it’s worked really well, so while it won’t happen in his first movie, this big screen version of The Flash could one day change everything.